Gregory Conko is a Senior Fellow and the Director of Food Safety Policy at the Competitive Enterprise Institute, a Washington, DC-based public interest group. His research at CEI focuses on issues of food and pharmaceutical drug safety regulation, and on the general treatment of health risks in public policy. He is particularly interested in the debate over the safety of bioengineered foods and the application of the Precautionary Principle to domestic and international environmental and safety regulations. Mr. Conko is also the Vice President and a member of the Board of Directors of the AgBioWorld Foundation, a non-profit organization he co-founded in 2000 with Tuskegee University plant genetics professor C.S. Prakash. The AgBioWorld Foundation provides information to teachers, journalists, policymakers, and the general public about developments in plant science, biotechnology, and sustainable agriculture. Barrons as one of the 25 best books of 2004. He also served as a principal investigator for the California Council on Science and Technologys 2002 report, Benefits and Risks of Food Biotechnology. His other writings have appeared in such journals as Nature Biotechnology, Transgenic Research, the Journal of Commercial Biotechnology, Regulation, and European Affairs, and in such newspapers as the Financial Times, The Wall Street Journal, Los Angeles Times, and the San Francisco Chronicle. He has appeared on numerous television and radio programs as a commentator on public health and consumer safety issues, and he frequently participates in international meetings on food safety and trade as a credentialed Non-Governmental Organization representative. 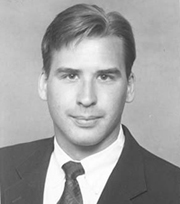 Prior to joining CEI in 1994, Mr. Conko was a Research Associate with the Capital Research Center in Washington. He graduated from the American University with a Bachelor of Arts degree in Political Science and History, and he is currently pursuing a Juris Doctorate degree at the George Mason University School of Law.